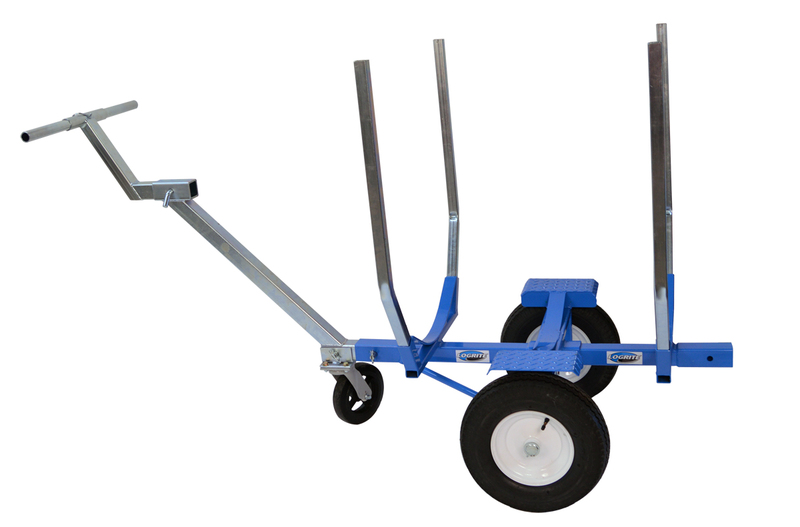 BTS Hauler is a modular hand truck and brush cart unit. 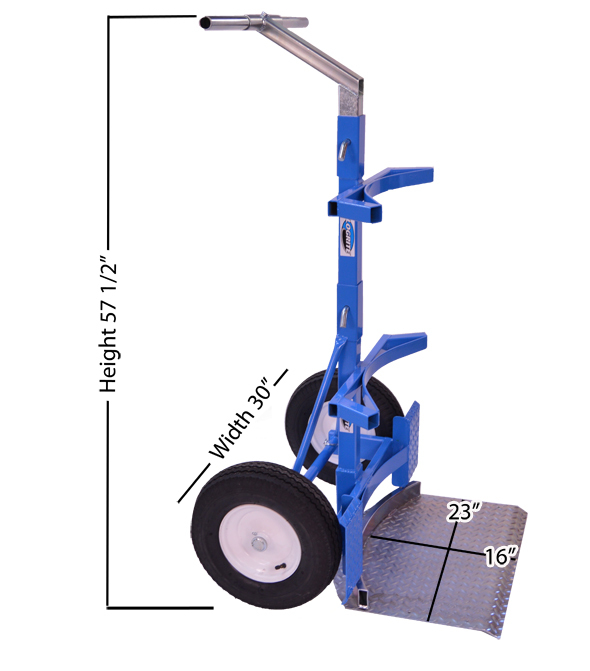 The BTS Hauler is a 2-in-1 hand truck and brush cart unit which features 1500 lb load limit and 46 cubic feet of space. No tools are needed to convert the hand truck into the brush cart. Just pull the 4 hitch pins to convert or to disassemble the unit to fit into your truck tool box or trunk. This modular unit is so compact it can ship by ground carriers to your door. 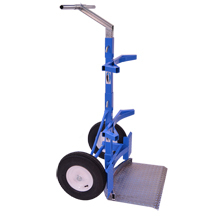 The best ergonomic hand truck on the market. 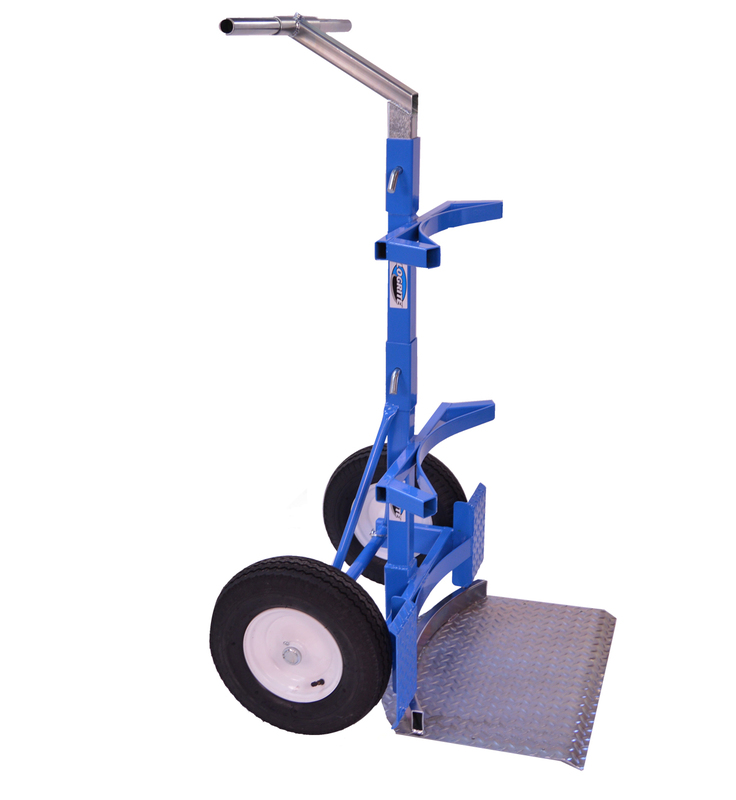 The hand truck’s ergonomic handle system allows you to lift logs, barrels or anything large and bulky easily and comfortably. And the best part - both the hand truck and brush hauler fit through a 36 inch gate! The BTS Hauler comes with everything you need to operate in both modes. We do offer a wide tire option. The wide tire offers more flotation while still fitting through a 36" gate. After considering many available log carts out there, I decided on the BTS Hauler because of it can be converted into a heavy duty hand truck. I purchased this to haul dead stand fire wood from the woods to the road and for tree work clean up. After assembly, I realized how heavy this thing is and figure that it might be too heavy to roll through uneven ground, (rocks, stumps,holes and limbs) but with a bit of path clearing and half loads I can maneuver this cart fairly easily. I believe yard cleanup will be a breeze pulling this loaded across a lawn or yard. 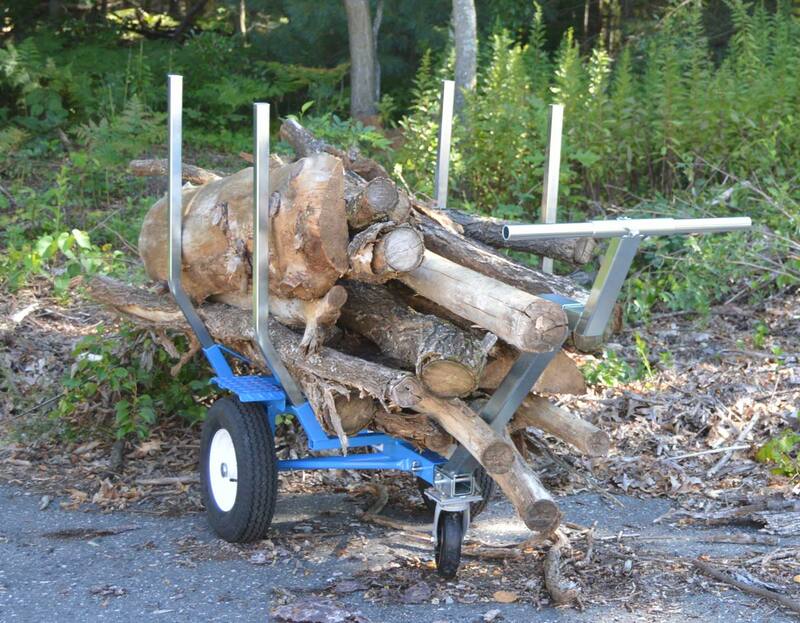 This log cart will be a tool you can pass down to your kids. it is well worth the price. I ordered the wide tire option and just wish you could get both tire options in one package. This unit goes on every firewood job pick up we go on. 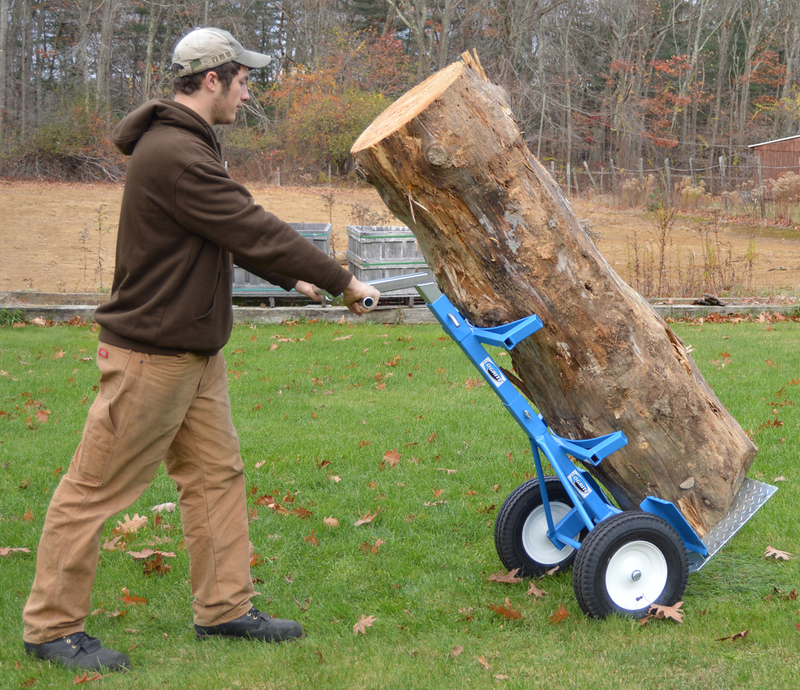 My father and I purchased the hauler with the wide wheel kit and it has been awesome for pulling logs out of back yards. This thing will handle some big logs. The best part about it is after the trunk portions are hauled we transform it into a cart or a trailer to haul the limbs out. Great product and great quality. We bought the cart at the Paul Bunyon forestry show in Ohio in the fall of 2015 and had a chance to meet some of the Logrite staff great group of people. We just purchased a second BTS hauler off a friend who purchased his at the same time but has not used it much. 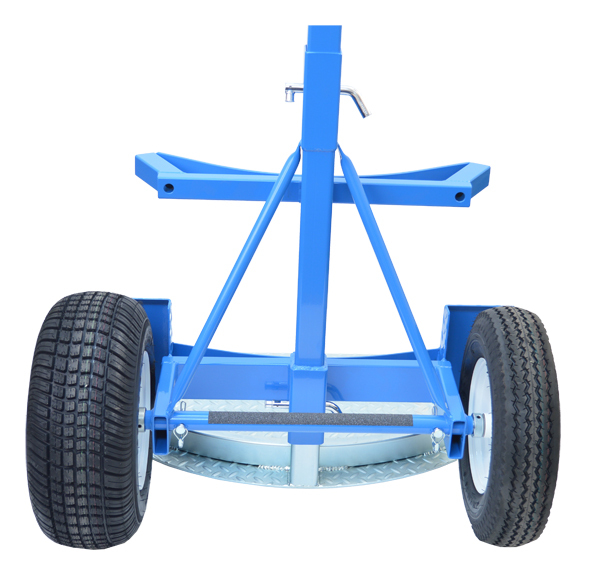 This unit has the smaller wheel option and works great on smaller trunks. Also another great feature is they come apart small enough to put in the passenger seat of the truck! These units are worth every penny! I wanted to let you know I received the gear today and I was very impressed with it, design, quality, packaging and all. I knew Logrite was topnotch from using your cant hooks but this has impressed me over the top.